"I-90 might have been good for Spokane, but it was not good for [the East Central] neighborhood." Jerry Numbers is, without a doubt, the most recognized leader in the East Central neighborhood. He has been involved with the community since his grandmother moved there in 1945, so he contributes not just a deep familiarity with the people and places, but with the era before I-90 was completed and the time after. He characterizes pre I-90 East Central as "connected," a place with a rich shared past and a vibrant social network forged and tempered through decades of adversity. More than just a place on a map, East Central was a complex system of integrated needs and livelihoods; a change to one element would have broad implications for all the others. The I-90 freeway was just such a change. While there is no evidence that I-90 planners actively considered the consequences of running the freeway through East Central, correspondence between federal officials in the late 1950s does indicate a keen awareness of the unavoidably disruptive effects to neighborhoods in the right-of-way. 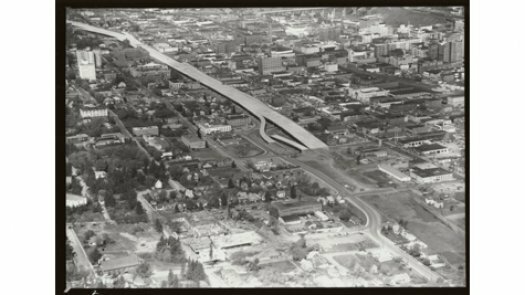 Few argue, however, that the I-90 freeway was bad for Spokane. The city as a whole certainly benefited from a stronger connection with other towns and cities, and the country benefited from the economic expansion the interstate highway system fostered. These positive effects came at a cost, though, and the prosperity they generated was not evenly distributed. In East Central, the highway wiped out some of the most historic structures, disrupting longstanding communities and displacing low-income residents unable to afford equivalent accommodations. 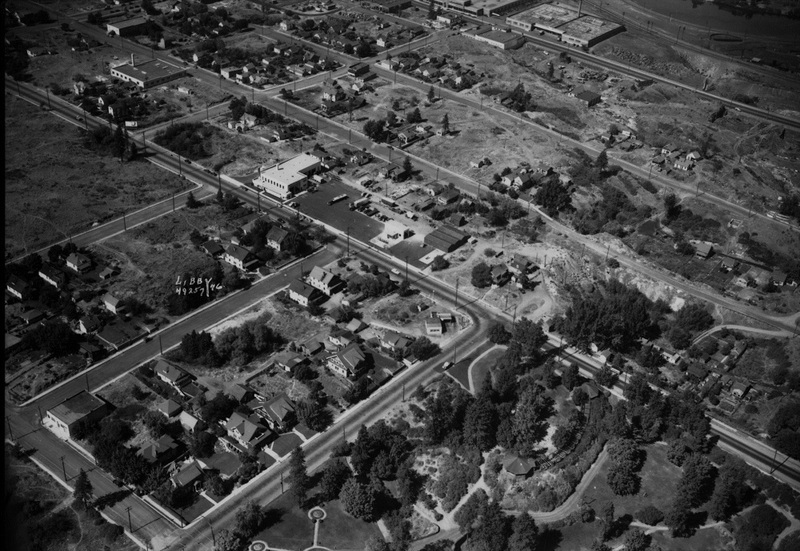 Those lucky enough to live outside the right-of-way saw their already racially divided neighborhood further fractured into a blighted zone north of the freeway and a more stable, if impoverished, community to the south. Long-standing businesses that had formed the backbone of the local economy were either sold and demolished for I-90 or died slowly when they were cut off from the vast majority of their customers who lived on the other side. The results were social as well as economic. After I-90, East Central became a community cut loose from the historical moorings that gave it a sense of place. While decades of stagnation have proven difficult to overcome, East Central's depressed status has drawn federal grants and low-interest loans, which are financing gradual revival. 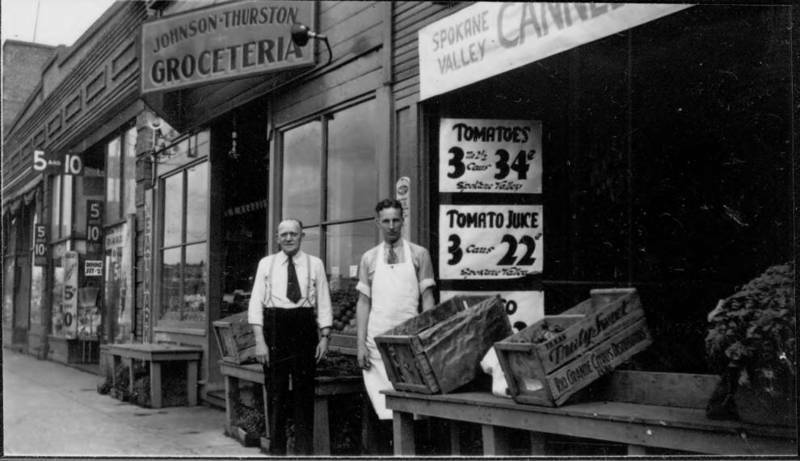 Johnson & Thurston Grocery Store. E. 1820 Sprague Ave. Olof Johson & Ott Thurston in front, 1938 (image courtesy of the digital collection, Northwest Room, Spokane Public Library): Small businesses like this one satisfied East Central residents' daily needs until I-90 drew traffic away. Corner of Arthur and East 3rd Avenue, 1946 (image L87-1.49257-46 courtesy of the Northwest Museum of Arts and Culture): The northwest corner of the original Liberty Park is visible in this photo. Only the ruins of the curved walkway with gazebos at either end are visible today. 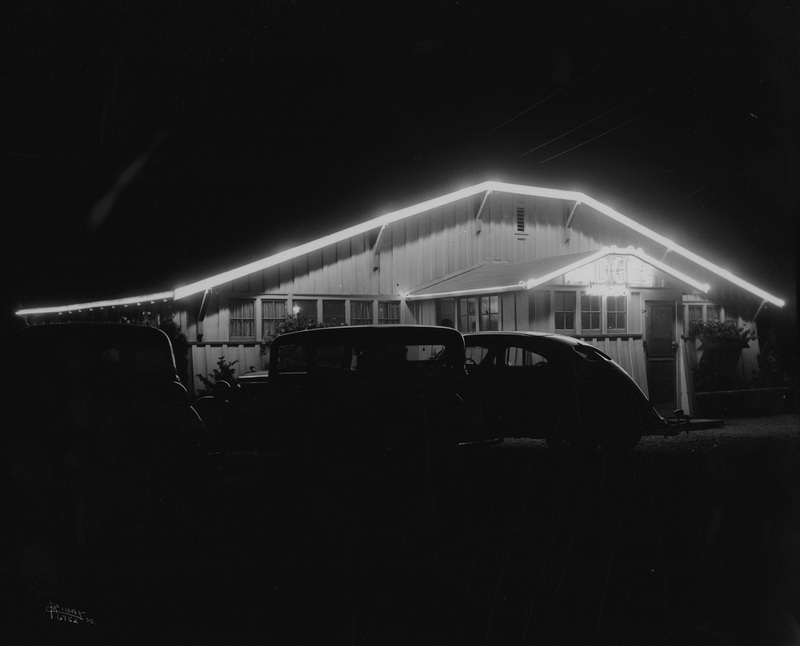 Madge's Chicken Dinner Inn, 1935 (image L87-1.6752-35 courtesy of the Northwest Museum of Arts and Culture): Before I-90 was completed, businesses dependent on drive-through traffic were common all along East Sprague Avenue. 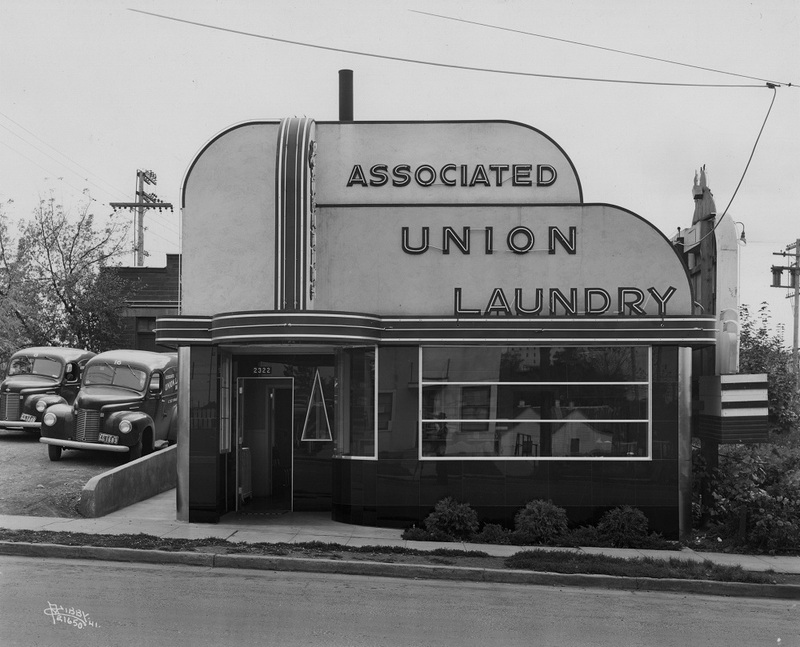 The Associated Union Laundry, 1941 (image L87-1.21650-41 courtesy of the Northwest Museum of Arts and Culture): Other businesses, like this one, depended on repeat customers from East Central. They declined rapidly after I-90 was completed. 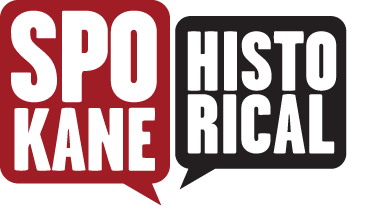 Spokane Regional Health District's Neighborhoods Matter Program, & Frank Oesterheld, “Jerry Numbers, Resident Since 1945,” Spokane Historical, accessed April 20, 2019, https://spokanehistorical.org/items/show/480. 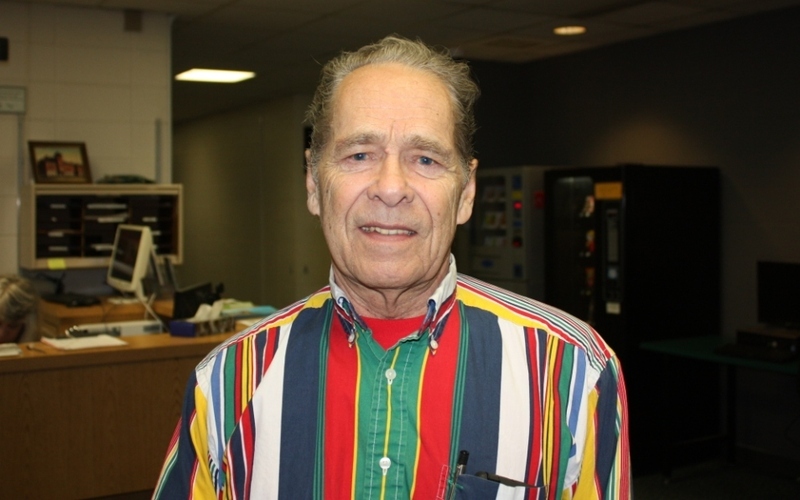 Jerry Numbers, interviewed January 17, 2014.